To help victims of natural catastrophes is a good cause for all people to be one. The havoc wrought to the Filipino people by the imbricating storms within a few days was unprecedented and had caused countless sufferings and pandemonium state of affairs: floods and landslides, displaced families and communities, homelessness and hunger, drowned and bedraggled people, missing family members and ubiquitous material destruction. You may find it relatively easy and simple to enumerate things like these after each disaster. And if you’re being meticulous enough you might end up with a complete statistics of destruction. It is exactly at this point that we have to exercise caution because there is where we tend to categorize such report as just any ordinary media news because statistics of destruction, when they’re too high at one time, has the effect of detaching our most personal feelings with the result that we do not react- except when our own relatives are affected. The reason is that such huge numbers simply fall into a faceless, anonymous suffering crowd. In contrast, a media coverage of a single missing girl or boy whose face and background story we read everywhere, becoming talk of the town or of the whole world or of the internet for weeks or months, we tend to sympathize personally with the victim, hence we react in any form whatsoever. This is where the usefulness of such organized rescuers, humanitarian aid and charity organizations come into play for through their initiative, extensive networks and expertise they move people to be one for a good cause by giving us that lost face of collective suffering, of statistical anonymity. Words will not be enough to express our respect and gratitude to these workers and organizations as well as private individuals of all races who came to help. But for now, let’s just say that the whole Philippine nation is deeply thankful and proud of you all! 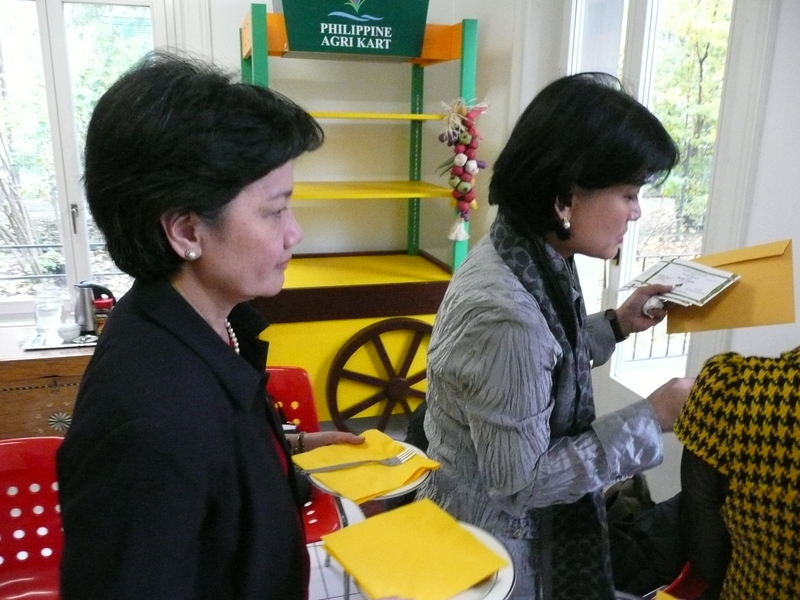 For us Filipinos in Switzerland, we also wish that our very own country the Philippines be proud of us. For this reason we have also organized various forms of help including this Classical Concert to help these organizations- for us in particular the Swiss Chamber Of Commerce Taskforce Asia- to carry out their tasks on the front line. We hope to be able to make a difference, no matter how small it may be, for we do not only see the good cause but the need for charity. Hence, let this need for charity of our distressed people reminds us all here in Switzerland of our need for unity, of being one anytime for a good cause- without pre-conditions and keeping in mind the inviolable dignity of each Filipino victim. We should not forget where we come from at the same time being aware of the unparalleled humanitarian tradition of our second home Switzerland, home to the Red Cross, Swiss Humanitarian Aid, Glückskette or Swiss Solidarity and many other charity organizations which have once again came to the rescue of our inundations and landslides victims and helped alleviate their sufferings. 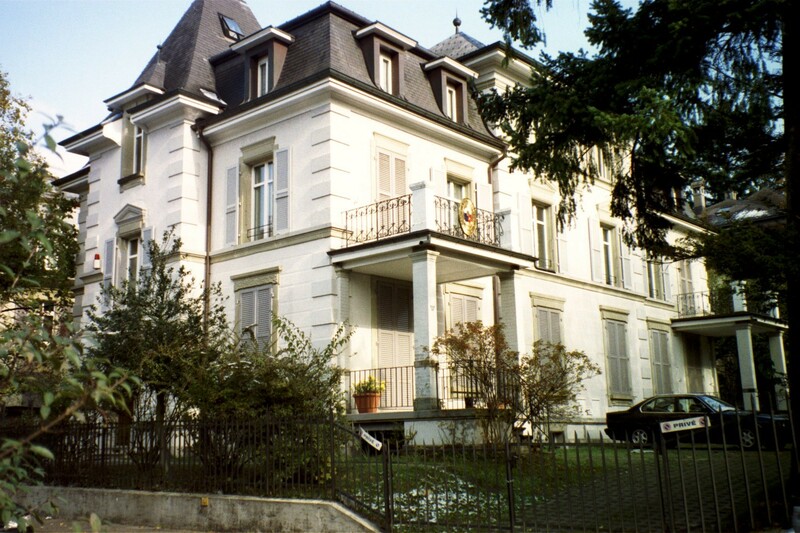 The Philippine Embassy in Berne, Switzerland. 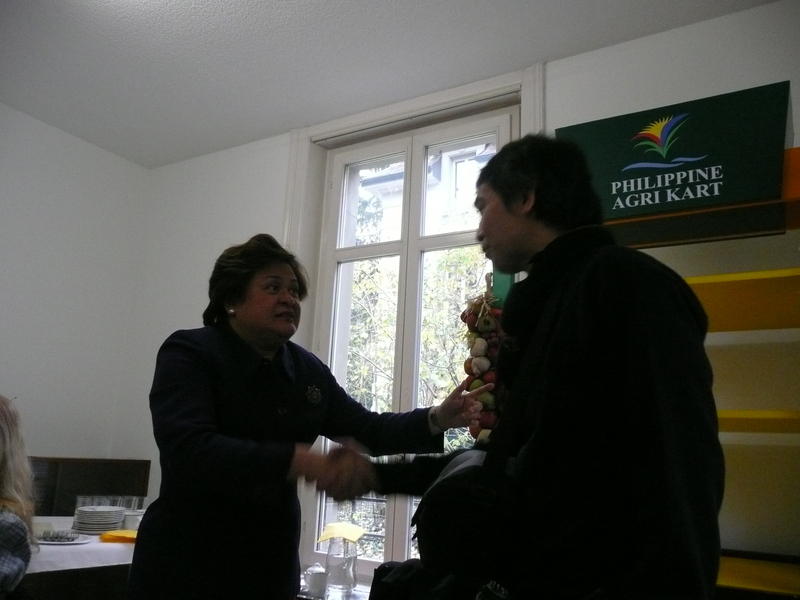 Our trip to Berne last Tuesday, 10th of November, was part of our mission for the typhoons’ victims in the Philippines. old part of the city. Berne is beautiful in autumn; old familiar cafes, shops, bookstores and flea market never lose their charm. My impression: A dynamic woman, friendly and accommodating, yet focussed and straightforward. After a short briefing by Consul Margarita S. Ibayan as to the rules of the meeting, the ambassador let each one us introduce her/himself with emphasis on each one’s respective professional experience. After her short mission statement and definition of terms, she moderated with ease the lively group discussion that ensued between the participants, as each one began fobbing off one’s own ideas on the rest. I could sense her experience in arbitration as a lawyer getting applied here as the discussion got emotionally intense and going astray as she jumped in in those critical moments to keep the course of the discussion. She listens intently though before raising a point. 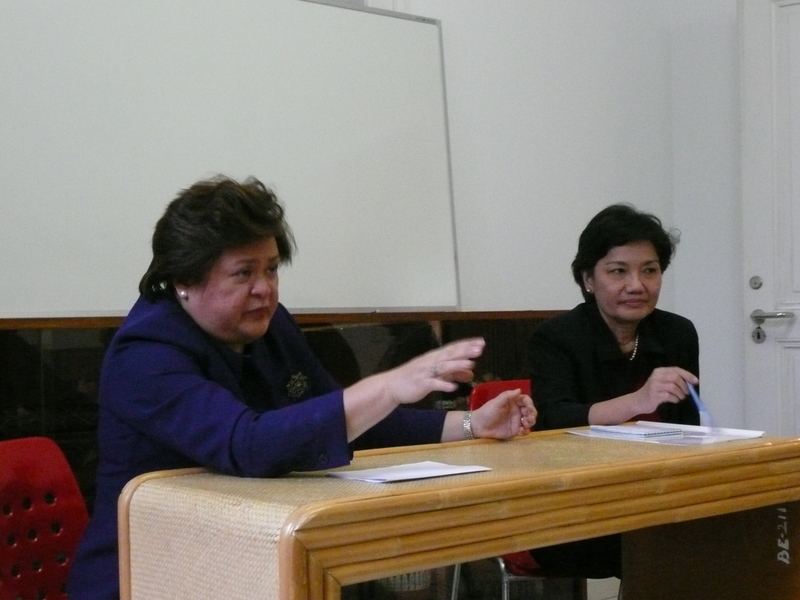 On the right is the First Secretary and Consul Margarita S. Ibayan, keeping the overview, listening to each argument and picking up non-verbal messages. except for the upcoming fundraising projects where Bulan Observer is one of the organizers. In any case we were able to present our cause and we were met with open ears and benevolent hearts: SUPPORT is promised. By the way, the ambassador is one of the founders of this Taskforce Asia that helped raise huge sum of money for the Ondoy relief. 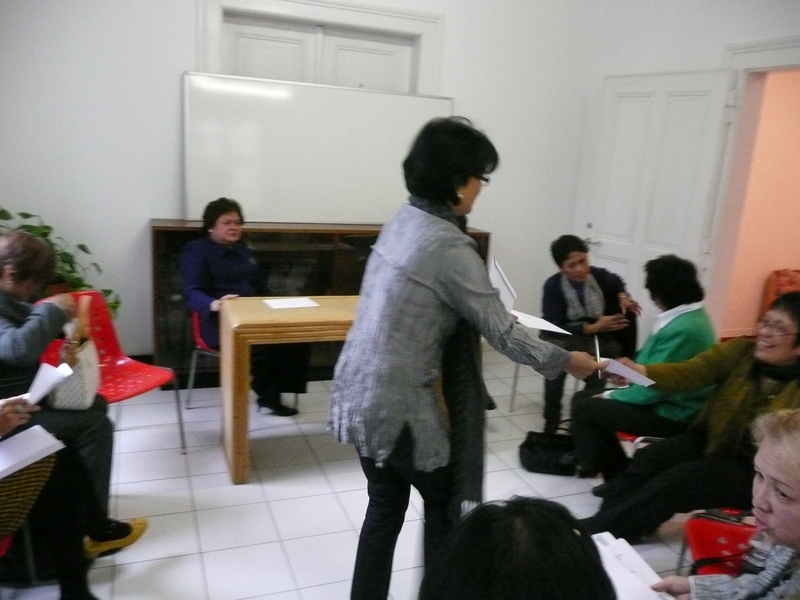 Now, it’s our turn to distribute flyers and tickets of our Concert project to the group of Filipina leaders. For us, we were over the moon as tickets were sold. For the rest, a smile, and for some who scored less, a hope of getting more by the next meeting. The final group photo after a lively discussion. More meetings in the consulate are scheduled. For our part, I should say we have achieved our day’s mission. now personally distributing plates for the prepared snacks to the participants of the meeting. We drove home feeling good. Back in Zürich, we have been receiving good feedbacks from many people and sponsors since the past few days. Indeed, a kind act is often its own reward. Times have indeed changed! Gone were the days when rumor-mongering, yellow journalism, and character assassination were confined to the walls of beauty salons, roadside eateries, and other similar places where rancor and candor filled the bucolic air of yore. Now you can see people from different walks of life—fishwives, henpecked husbands, bums, government and non-government workers–doing it anytime, anywhere. Welcome to the world of the The Chatterbox! Expect this so-called national “pastime” to go several notches higher as more and more issues–both real and concocted– surface out in time for the local and national elections. Certainly, we’ll all be tickled pink with how political parties try to outsmart each other. This is the perfect time to spot the differences between wise guys and wise men as they engage themselves in this seasonal battle of wits and dough. And so, this early, we find people in Bulan talking about “culture” in juxtaposition with “corruption” to peddle things and ideas with all the feigned glitter and pomp of the cognoscenti. Not surprisingly, many people are tempted to buy their “merchandise” either attractively wrapped in legalese or painstakingly presented in pathos-laden dialectics. The result: mushrooming of ideas that are meant to condition the mind which of course can eventually lead to a warped weltanschauung. Bulaneno, who remains incognito– at least to me and to other Bulan netizens– sparked my interest to examine his shrewd ways of achieving three things: getting “feedback” from the local chief executive, winning the people’s heart and sympathy, and of course creating ripples. Making and maintaining a blog solely for the purpose of showing those purported hard facts did not– in any manner– explicitly malign anyone nor did it put things in proper perspective. In fact, Bulaneno has left things hanging and open creating reactions that are poles apart: suspicion from the sitting chief executive including his phalanx of supporters and perhaps adulation from the other side of the fence. It would have been better if he presented what he believed to be the crux of the matter as an integral part of his blog, not as a separate opinion piece written as a rejoinder to the Municipal PIO’s commentary. But if his only purpose was just to inform the people of Bulan about these alleged shenanigans, then he failed quite miserably. All he got was a “commentary” from the Municipal PIO and some comments from a very small group of Bulan netizens- a number too minuscule to warrant change. After all, how many households in Bulan are wired? It’s impossible for Bulaneno not to know that only a few could read his blog; and mostly, these people already have their own beliefs and principles that are hard to change. With that in mind, I also wonder what prompted Mr. Gilana to waste his time reacting to a mere compendium of data. Things should have been taken at face value. But perhaps the urge to protect the image of the administration from being tarnished made him write a commentary followed by a riposte. The Municipal PIO’s decision to respond to that blog–through a commentary– was quite understandable, but the ensuing write-ups from both sides turned things askew. So came the awful use of terms and the scathing retorts made somewhat comical by the insertion of irrelevant facts and/or red herring which did not escape the eyes of Ms. Mila Asuncion and other Bulan Observers. Libelous remarks were obviously sugarcoated so as to avoid legal sanctions, but the allusions were crystal clear. Had it not been for the skillful use of language, how do you think would Mr. Gilana refer to that person who “pocketed a measly amount of P2, 000?” And how would Bulaneno rephrase the title of his article and perhaps rehash his concluding sentences? These, to me, are what the culture vultures call the edification of what’s obviously not edifying. Well, to say that “corruption exists in Bulan” is not downright wrong. We’re not born yesterday to believe that no one is corrupt in our hometown. In fact, it’s easier to understand and believe that “there is some sort of corruption in Bulan” than to totally deny it. Perhaps, the problem, which is further compounded by our myopic views, rests on how we define corruption vis-a-vis culture. Jun Asuncion hit the right note when he dropped the word “culture” to refer to the problem of corruption that allegedly haunts the local government of Bulan. Yes, Jun, you’re right…. that’s “The Issue of Corruption, and not The Culture of Corruption.” And most, if not all, issues can be addressed given the right frame of mind and the drive to do it. Let’s all be reminded that when engaging in a public discourse, there’s a need to be politically correct. This should be coupled with a holistic understanding of the issue at hand, pragmatic competence, and an honest and relevant presentation of facts so as not to mislead people from the real nub of the issue. So, I ask: What’s the real score? Is it really about those whom we accuse of committing graft and corruption? Or is it about “the subculture” that nurtures and allows it to prosper? Stop This Futile Warfare In Bulan! We all in the first place convey our deepest condolences to the bereaved families of the policemen slain in this encounter…..
Life is a fight and Bulaneños have been fighting for survival and freedom for roughly 500 years now since the first recorded Moro attacks on Bulan and since the beginning of the colonization, during the war and until yesterday in Calomagon when this ambuscade occurred. Too much blood has been shed on Bulan soils already. My generation had seen that from 1972 onwards…gloomy years for us young Bulaneños. I once wrote that I´ve seen the last day of Nanette, Tony, Anihay and their comrades in Bulan. Anihay suffered agonizing pains for he was caught alive yet deeply wounded, was driven around the town on a military vehicle for people to see- and probably to intimidate future rebel recruits. Within that repressive Martial Law context, I have no doubt to call Nanette, Tony, Fenito and their brothers-in- arms as true Bulan Freedom Fighters. For sure Marxist´s ideology was spreading at that time all over Asia and after the war, the former HUKBALAHAP (Hukbo Ng Bayan Laban Sa Hapon) under Commander Taruc went back to its original objective of liberating the rural peasants from the feudalistic structures. Taruc was not a die-hard communist-oriented leader, realized perhaps quite early that it had no future so he voluntarily surrendered to the government; his organization practically died out. However, poverty in the rural areas continued and so was the need for land reform and social justice continued- and with it the fight continued, this time under new leadership; names like commander Dante and Joma Sison dominated. Until this day, NPA structure and strategy is very much patterned to the old HUKBALAHAP- a guerilla and a political organization. In the late 1960`s Marcos was still performing well and may had in fact done the right decision in fighting the resurrected HUKS which became very powerful, and Marcos was to some extent successful. Then there was these issues of aggressive American Imperialistic presence in the Philippines and the increasingly corrupt and repressive Marcos´regime that this time democracy itself was in peril. Marcos became more and more dictatorial and under the pretext of fighting subversion and insurgency, liquidated his political rivals, suppressed political opposition (great names like Salonga, Tanada, Kalaw— and lastly NinoyAquino) and increasingly becoming a US marionette driven by his need for the US protection and legitimization of his dictatorial regime. Martial law was declared, writ of habeas corpus lifted, regime critics and student political organizations were banned, curfew hours installed. Marcos was an unparalled political opportunist: He used the insurgency problems as means to further his own egoistic political ends- thereby encouraging the further growth of insurgency by making the Filipinos more disillusioned with the state. Now this is what I mean that our Bulan fighters were to be viewed against this background of Marcos´dictatorship- and not against the backdrop of pure commitment to the communistic ideology. Nanette Vytiaco did not come from a poor family and she was a political mind like the rest of our young student leaders at that time. Let us bear that in our minds. Back to Calomagon, we are all aware that poverty, poor education, unemployment, disillusionment are still not solved; that the need for social justice is present as it was. We are also aware that the ISSUE OF CORRUPTION is as actual as before- both in the national and local levels. We are also aware that Bulan is unfortunately not spared from this virulent virus that has plagued the entire country. Taken as it is, we are back to the circumstances that had moved Taruc and his HUKBALAHAP to continue the fight after the war and re-orient themselves to the new ideology of communism. But now some elements have also been removed from the backdrop: Marcos´dictatorship was overthrown, our Mt. Pinatubo expelled the American bases, communism in many parts of the world was discarded. -The NPA should recognize that their ideology- if it is communism- is not sustainable in the Philippines no matter how long they want to fight for it. The Filipino spirit will always reject it; that if they want social justice for Bulaneños, they should fight for progress in the political arena and give up their guerilla organization and activities. – That the local government of Bulan should stay away from dubious activities that make them suspect of corruption. They should be more transparent and genuine advocates of townspeople´s needs and aspirations. Though feudal-like structures (when we mean by it vast landownership of some families) are still present in Bulan and in the Philippines as a whole, I do not espouse land reform for it will disperse or weaken production. Instead farmers employed should enjoy internal stake/shareholders rights, their working conditions be improved. -Armed strifes do not contribute whatsoever to the attainment of more humane objectives. Did Bulan move socio-economically an inch better after yesterday´s carnage? Did the NPA become stronger and gain more acceptance from the people they want to win over? Would the military now recoil from the next planned operation and surrender to them? We all know that the killing will continue, just as it had continued till yesterday since Marcos´time, that until now we Filipinos have only lost. -Without fighting and fear, people will be more productive. -Without corruption in the government, people will not feel being cheated, hence will be more productive and satisfied and less susceptible to leftist propandas. Social justice is not necessarily a high living standard at once, but in the first place a pleasant feeling among the people. Any Bulaneño who feels good in Bulan will never trade his family for an obsolete ideology or a life of killing and hiding in the hills of Bulan. And yet, the Fight For Progress is a long way- but is made easier without killings and corruption. It is November 10. We all listened once more today to the news, hoping perhaps the contents and contexts more complete, perhaps more comprehensive. The air is still melancholic! Yesterday, November 9, in early afternoon, we received calls of a tragedy, and we all tensely waited for the news. Everywhere, different versions were being buzzed around by people, but the truth was there – eight young policemen from the 509th PPMG, on a hot pursuit operation, aboard their police mobile, were blasted by a landmine said to be planted by the New People’s Army, along the Barangays Antipolo-Calomagon road at around 11:30 in the morning, but not without a fight. Four of the police officers were killed, and two seriously injured, two others escaped. Another unidentified body was brought downtown to Funeraria Labalan. The reports said he was a member of the New Peoples’ Army. Those who died were natives of other towns, except for one Bulaneno, the locally-renowned nemesis of the NPAs in Bulan, SPO1 Johnson Gerola, labeled by his colleagues in the service as “The Legend Tiger” because he outsurvived his police batchmates in Bulan, and because he had survived many military battles and attempts on his life. He did not survive this time. But he died, together with his colleagues, in the performance of a patriotic duty. They are heroes in their own right. And maybe, too, that unidentified NPA cadre, is a hero in the eyes of his comrades-in-arms. They should be relishing their victory now in their mountain hide-out. There was a certain tension all over town, even though the fatal ambush took place in an isolated, remote roadside, some ten kilometers away from the poblacion. This war, now of attrition, has been taking place in pockets, for more than thirty years now, all over the country, and here in Sorsogon. Until when it will last, we never don’t know. We hope the better, more positive side of the leaders and negotiators from both sides come out for the good of all, that war is not a solution to our existing problems. Or that, war is causing us more problems than ever. Ironically, however, it is also this war that may purge us of the evils in the system that we are in. And there was the paradox of silence and hushed noise among the townspeople as they crowded outside of the Bulan Municipal Police Station downtown and the 509th Police Provincial Mobile Group camp, or at the Funeraria Labalan where almost everyone wanted a glimpse of the dead. Families and friends shed tears for the fallen officers. Everybody seemed affected as groups and pockets of people, bystanders, huddled for the news, in many corners. It is another rare instance today, that the peace of the town was once more broken. Every now and then, over the past years, we are shattered by news that this person or that policeman or armyman died, shot by somebody from whose side we seem to all know. To us in Bulan, it is always a big deal when we hear of those news because it is not commonplace. Despite this long-running war between government and the NPA rebels, Bulan has been a relatively peaceful town, and the townspeople, peace-loving, normally goes on and moves on with life, busy with living, making a living, as if, especially those in the urban areas, these things do not exist. In the remote barangays, especially those said to be influenced by the NPA cadres, the people, especially the barangay leaders, though afraid and cautious, fearful for their own safety, skillfully, prudently and wisely relates and deals with both sides, but do not seriously side with either of them. If the NPAs come, they welcome them. If the military patrol comes, they welcome them. The bottomline, for the local leaders, or the barangay chiefs, is that the lives of our families, of our children, of our residents, are safeguarded, and that we not be caught in your crossfires — (Those whom we love are more important than your ideologies, or your systems, or your philosophies, or your politics. You come and you go, but we remain here in this barrio, in this place, in this town.) I think these local officials and barangay leaders are heroes. They have courage in the midst of their fears. And yet they may, or can, be persecuted by either side. The delivery of the dead fighters downtown is big news for the young generation today. Many were yet unborn when Bulan was drenched in blood during the Martial Law days, when every night was always broken by the exchange of gunfires, maybe in San Ramon, Marinab, Gabod, Busay. In 1972-76, during those darkest of years, the cadavers of both the military and the rebels were delivered daily, their pitiful broken corpses lined-up or displayed in one usual sad place in front of the police precinct. And we heard of the names of rebels, or they call them “freedom fighters” Tony Ariado, Nanette Vytiaco, Fenito Guan, Anihay, or from the other military side, Sgt. De Leon, etc. Those were really the years of living dangerously. I was ten or eleven years old when Martial Law was declared and we already felt the melancholy of the time. The generation of today are fortunate, because they live in a time of relative peace. But I think the generation of yesterday were more fortunate, because they were tried and tested in the crucible of those dark years, in vicissitude, in blood, in fear, in hope, in tears, in patriotism. Whether those who have fallen fought for government or against the government, they have not died in vain, if they died with that purity of intention and love of country. And for those who lived, they sure know what patriotism or betrayal meant. They emerged stronger. And now, this day of melancholy hovers upon us, maybe, until the dead police officers are interred. Or for the families, until they shall have accepted the fate that descended upon their beloved. Both sides went there to perform a sacred duty, whatever their ideologies must have been. I dream of that day when leaders will sit across tables, in negotiation, in truce, in goodwill and there settle differences rather than in the battlefields. I dream of that day when no corpse will come down from the mountain, and break the hearts of our people. I dream of that day when our rice and coconut farmers can bring in the best produce of their land because there are no more bullets from crossfires to fear for. I dream of that day when our our babies and our kids grow peacefully; our families live, not in fear but in friendship with one another. I also dream of that day when there will be no more freedom fighters going to the hills to stage a revolution because they think government did not care for them, so they sought refuge in their beliefs even if this means death as a matter of sacrifice for others. One of the most beautiful, most educational, most meaningful, most poignant, most timely and most relevant shows in Philippine television today is the award-winning ABS-CBN teleserye “Santino”, a story of a young boy, known in his town of Bagong Pag-asa as an orphan, and was adopted by a wonderful group of monks led by their wise leader Father Anthony. Unbeknownst to many he was actually sired by the Mayor of the town (which at present is still unfolding in the story’s plot, and people are holding their breaths). The most important asset of the boy Santino is that he is favored by God, who appears and comes to him in the form of Jesus Christ and whom Santino fondly and lovingly calls “BRO” (short for Brother, or in a respectful address, Kuya). BRO gifted him with the power of physical and spiritual healing. Mayor Enrique, on the other hand, grew up out of sad, tragic and unfortunate circumstances until he became a town executive. And people in Bulan, just like many others, perhaps all over the country, always look forward to the time slot after the evening news. Sometimes, during office breaks, the employees talk about the previous night’s segment. A few days ago, during a seminar-workshop on local government best practices, former Irosin Mayor Eddie Dorotan, now Executive Director of Gawad Galing Pook, took some important points from the show and made it a part of his discussion. Oh, so, he is watching Santino also. Our Municipal Administrator makes it a point to daily watch the show, whenever he is free, with his son. And, if I have time, I watch it together with my wife and my two young daughters, Theresa, 5, and Bernadette, 2. I also watched other teleseryes before, some good, some violent, some too long-winding, many are too eccentric or too self-centered and many, forgettable. To me, none comes close to the show’s striking and wonderful balance of portraying the conflict between good and evil, and how ( in the many secondary and supporting episodes), despite the so many trials, pains, sacrifices and sufferings gone through by Santino and the monks, good prevails and overcomes evil. Santino was able to convert so many people to turn back to good and to God. Out of his mouth, which actually is an inspiration from his conversations with BRO, and by his humility, purity, innocence, constancy, faith, love, truthfulness and by his example, those whom he met turned away from faithlessness, hopelessness, despair, hatred, fear, apathy, indifference, jealousy, and other vices. And the good thing is that, the main plot remains cohesive: of Santino’s search for his roots, even as he is being ably guided by his foster parent, Father Jose, and the monks, and being watched over by BRO. There is the continuous conflict and tug-of-war between good and evil, even as Mayor Enrique, whom Santino has momentarily influenced to change, has now relapsed into his former evil self and schemes due to circumstances that dragged the latter to some desperate situations. In this month’s episode, the story revolves around how Mayor Enrique, desperate for money to pay off debts, was caught red-handed by Santino (who was brought by his foster father Jose to his kitchen-workplace which, unknown to the latter actually caters to a gambling den operated by the Mayor’s brother, Robert), when the boy accidentally bumped the former, and down came the attaché case revealing bundles of gambling money or payola. The incident came to the knowledge of the Bagong Pag-asa constituents, and this caused a very big uproar, controversy and a public clamor for the mayor to resign. The mayor became the target of angry mobs, almost daily. One Councilor Arnaiz, an arch enemy of the mayor, who on earlier times was grievously aggrieved by Mayor Enrique and was seeking revenge for his misfortunes and the death of his family ,and who at the same time is politically ambitious, seized upon this chance and opportunity to inflict his vengeance on the latter. He stood ready to file a corruption case against Mayor Enrique, and sought the permission of the monks to use Santino as the star witness. But the monks would not allow Arnaiz to use the child for his revenge and for his political ambitions. Councilor Arnaiz, ignoring the supplication of the priest, consumed by personal motives, simply answered, “ Ah basta, bahala na magsubpoena kay Santino ang Korte!” And left. Oh yes, how easy it is to accuse and point fingers at people. And of course, how difficult it is to account responsibility for our own actions of wrong-doing! I will not dwell in deeper philosophical reflections on this matter of Councilor Arnaiz and Father Anthony and Santino. But it can well apply to our own personal and political situation, not only in Bulan, but in the whole country. With election time coming, our people must indeed be wary and cautious and be wise enough to check on the motives of those seeking office, especially if they attempt to portray and profess themselves as immaculate, perfect or clean, or that they represent the sentiment of the people. Funny, but there is one political group in Bulan whose perennial election slogan haughtily shouts something like, “Wara kami digta! Wara kami bisyo! Mga listo nan may halangkaw kami na inadalan, mga propesyunal kami! (Kaya kami an botohan niyo)”— and yet, many elections over, the electorate repudiated and frustrated them. On the other hand, the candidates who were humble enough to admit of their shortcomings, about their colored past, of their humble education, came out triumphant. This is Bulan’s true experience in the last six or so elections! We must realize, therefore, that nobody is perfect. Even Santino had some lapses in the virtue of obedience. BUT. With a deep faith and by prayer, I believe God, or BRO, will help and inspire us to choose wisely, and guide us. Of course, we also have to put in our efforts that shall be complemented by God’s light. Anyway, we are learning a lot of lessons from Santino. The teleserye is still unfolding and may be a long way from ending, I hope. Eventually, I think, maybe, (unahan na natin ang directors) Mayor Enrique and Santino, the main protagonists in the story, will come to finally discover that they are father and child. Mayor Enrique will eventually turn to goodness and to God. Foster father Jose will gladly give up Santino despite his great love for the boy. Mathilde, will deliver her child by Mayor Enrique, and give herself up to the police for the accidental death of Malena, Enrique’s real wife. Robert, Mayor Enrique’s brother will finally be exposed and caught by the police for all his evil schemes. And the three Tsismosas, Kimberly, Rosaly and Jennifer, comic characters, but notorious rumor-mongering hags who have the habit of spreading news and gossip like wildfire that often harmed and injured people’s dignity and reputation shall change for the better. And BRO will say Thank You! To all, a happy, meaningful and introspective viewing of Santino! It’s impressive this Culture Of Honesty among ordinary Bulaneños and interesting how it supports the findings of the Reader’s Digest Global Honesty Test conducted last 2007 wherein Manila placed 5th among other world cities tested (see report below). There is reason to have faith then in our people’s inherent integrity and sincerity, indispensable values for the town to progress. However, in man everything is there, all these polarities and paradoxes of values ( a fact that the physicist Heisenberg himself had problem understanding how in a system, i.e., in man, good and bad traits – honesty and dishonesty, sanity and insanity, etc. – can exist and function at the same time). Hence, to inhibit the negative and to elicit the positive in us, we need- aside from educational system- role models in our society. Here is where the problem comes at least in the Philippines. For it is a common public knowledge that the incumbent national administration is marred with corrupt practices. The whole world knows about this. This is a burden to the people and to all other local executives that may actually be honest to their constituents for there is a strong tendency for the public to generalize. And if there are anomalies or scandals in their local government- proven or not- this tendency becomes reinforced, things heard taken as true, becoming common public knowledge. It’s difficult then for Filipino politicians in the present time. Had the president et al been honest and sincere, the Filipinos would have been more positive in their perception of the local public servants also. Judging from his publication, Bulaneño was specifically talking about the culture of corruption in the local administration of Bulan based on the COA’s findings and recommendations. In his blog he presented only these facts, no more, no less. But if he had fabricated these facts by himself, then that would be utmost denunciation, pure dishonesty. One thing more, he should prove his allegation before the court, not before the people (for they have no direct judicial power). And the court is not interested in this “common public knowledge” but only in hard evidence. However, the fact that these issues got publicized again just a few months before the election would lead anyone to believe that this is indeed politically motivated. Be that as it may, we just leave it to our Culture Of Honesty in Bulan to decide for itself. In effect: Cultured Corruption, not Culture of Corruption, should properly describe the effect of the Arroyo administration to public perception, national or local. If you were sitting on a park bench and noticed that a “lost” cell phone was ringing, would you answer it? And if so, and a stranger’s voice on the other end asked you to take time from your busy day to return the phone, what would you do? Hang up? Keep the phone? Or, agree to return it? That’s exactly what Reader’s Digest editors wanted to find out. And so the world’s most widely read magazine used its network of global editions to conduct an informal test of honesty around the world, asking reporters in the most populous cities in 32 countries to leave 960 mid-priced mobile phones in busy public places. Local researchers from each country arranged and conducted their own tests, observing the mobiles from a distance. They rang the phones and waited to see if anyone would answer, and then watched to see if the person would (1) agree to return it, (2) call later on preset numbers that were programmed into the handsets, or (3) keep the phones for themselves. After all, these were tempting, brand-new phones with usable airtime. The researchers tallied the results, interviewed test participants, and filed their reports in many of the August editions of Reader’s Digest, including the Web edition of U.S. Reader’s Digest (www.rd.com) and U.S. Selecciones magazine. While the study was not scientific, the results provided a fascinating human interest story. The test followed last year’s Reader’s Digest Global Courtesy Test, which made headlines worldwide. Like the 2006 test, it was developed and overseen by the magazine editors in each of the participating countries. Both programs dramatically illustrated the magazine’s remarkable geographic “footprint” by conducting simultaneous local tests and reporting the results globally. The highest percentage of returned phones was in the smallest city, Ljubljana, Slovenia, with a population of only 267,000. All but one of 30 cell phones were returned. From a nun at a bus stop to a young waiter at a coffee shop (who also retrieved a leather jacket the reporter had accidentally left behind – not part of the test! ), the residents in this picture-postcard city in the foothills of the Alps were almost universally helpful. Could the citizens of a major metropolis, with all its stress and pressure, be as honest? The people of Toronto, Canada (population 5.4 million), came close, returning 28 of 30 phones. “If you can help somebody out, why not?” said Ryan Demchuk, a 29-year-old insurance broker, who returned the mobile. Seoul, South Korea, was third in the rankings, followed by Stockholm, Sweden, where Lotta Mossige-Norheim, a railway ticket inspector, found the mobile on a shopping street and handed it back. “I’m always calling people who’ve left a handset on my train,” she said. Tied for fifth place in the rankings with 24 returned phones were: Mumbai, India; Manila, the Philippines; and New York City. In many countries, people said they believed the young would behave worse than their elders. Yet, in the test results, young people were just as honest. In New York’s Harlem section, 16-year-old Johnnie Sparrow arranged to meet a reporter later that evening. Arriving at the scheduled time flanked by a group of younger neighborhood boys who clearly looked up to him, Sparrow was surprised to learn that the lost phone wasn’t lost at all. But he was proud of how he reacted when he found it. “I did the right thing,” he said with a smile. Parental influence weighed heavily with some. “My parents taught me that if something is not yours, don’t take it,” said Muhammad Faizal Bin Hassan, an employee of a Singapore shopping complex, where he answered a ringing phone. Many adults accompanied by children were keen to show the young people how to behave when they spotted a phone. In Hounslow, West London, Mohammad Yusuf Mahmoud, 33, was with his two young daughters when he answered a phone in a busy shopping street. “I’m glad that my kids are here to see this. I hope it sets a good example,” he said. Women were slightly more likely to return phones than were men. All over the world, the most common reason people gave for returning a phone was that they too had once lost an item of value and didn’t want others to suffer as they had. “I’ve had cars stolen three times and even the laundry from the cellar was taken,” said Kristiina, 51, who returned a phone in Helsinki. So, how did planet earth perform in the honesty test? Everywhere, the locally based Reader’s Digest reporters heard pessimism about the chances of getting phones back, especially given economic and other pressures. And yet, globally, 654 mobiles, or 68 percent, were returned. In 2005, the Local Government Unit of Bulan called forward for all our people to see, and emulate, several ordinary Bulanenos, who displayed that wonderful virtue of honesty and fineness of heart. Mr. Alex Francisco, a young man, a lowly padyak driver who earns barely a hundred pesos daily found a package containing 600,000 pesos which was left in his vehicle. He returned it to the owner. Another padyak driver, a young family man with four malnourished kids, also returned 75,000 pesos to the owner-teacher who left her wallet in the pedicab. The money was intended for medicines. Mr. Andres Gojar, of Barangay Palale, who was a former barangay kagawad, and later, one of our employees at Sabang Community Park, found a service pistol and wallet containing cash, left by a policeman while in Sabang. It was returned to the owner. Mrs. Elsa Besmonte, a BHW of Aquino found cash amounting to 5,000 pesos. She returned it to the rightful owners. Five Bulan Integrated Terminal porters and service boys were likewise honored in 2008 for returning CPs, cash and many other items lost by passengers in the facility. And at the Terminal itself, we have several unclaimed items either lost or left by our passengers. A few days ago, Mr. and Mrs. Reynoel and Arlene Guan of Zone 3, returned to some RGCC students CPs or cash left in their small eatery. And the students were all overwhelmed at such display of honesty. For me, honesty is already a theological virtue. It stems from the person’s decision or choice to return to the rightful owner what is due to that person. In a way, it is his sense of justice, and ultimately, his virtue of love that compels him to do so. And we have thousands upon thousands of Bulanenos who practice it. It comes rooted from our own culture which we inherited from our forefathers, and most especially from our deep religious faith. Of course not all these acts of people are publicized daily. It is not a rarety, to say the least. Of course, what is often heard or read today are dishonesty and corruption. They make the news– which gives us the impression that people, especially government leaders, or politicians, are evil. We know that this is a fact, a reality of life, and dishonesty permeates every level of society, the government, the private sector, the church, the media… since time immemorial. And there is reason to giving more emphasis to condemning wrongdoing of people in government, especially our leaders, since they can make or unmake the destinies of our communities. The irony of it all, however, is that there are people who condemn dishonesty or wrongdoing but excuse themselves from it even if, by their own introspection, they themselves cannot be excused. This is hypocrisy. I cannot but smile at one political opposition leader, who was elected in 1995 here in Bulan, who was consistently decrying and shouting corruption and dishonesty by the incumbent administration. But he was never looking at himself at how he was accused of allegedly encashing and pocketing a measly P2,000 intended for the riprapping project in one barangay. If he cannot then be trusted with a small amount how can he now be trusted with the whole local government funds? And yet, that same person is now very active again in telling Bulan people that this administration is corrupt because of the Bulan Terminal. I think Bulaneno knows who that politician is. In a smaller perspective, it happens daily to family members or neighbors. Honesty is a moral choice. It is also a gift. But all human beings are endowed with that freedom to accept that gift or not, but once we do accept we make a confirmation on the inherent goodness that is in every man. That is why, when Bulaneno decided to publish his article on the “Culture of Corruption in Bulan”, assuming that he was only singling out the De Castro Administration on the Bulan Terminal Case, it was as if he was condemning everybody else in Bulan. When you refer to culture, it is a way of life. It refers to communities, to that collective psyche present in every generation. Culture refers to that character of a people. Nobody can therefore prevent me from also telling everybody on the culture of honesty inherent in us as a Bulaneno community. Reading between the lines of the Bulaneno article, one can already see the partisanship in him. He was simply propagandizing an issue that, again, falls within the ambit of our courts — be it a question of facts or a question of law. He was right in many of his quotations of many laws and their provisions, but ultimately, all these have to be proven in fact and in law. (I think, Bulaneno knows these, because by the way he writes he either must be a lawyer or a student of law). So there is really no use of continually imputing guilt of graft and corruption against anybody, more so against Mayor De Castro, unless her innocence is proven otherwise. Although in the bar of public opinion, nobody can prevent Bulaneno or company from continually bombarding media or the internet with their partisan propaganda. But let our courts decide, even if it may take long. Let civility and decency in our communities and in our institutions take its proper course. And going back to the issue of honesty. Let it be said that we have an honest people, a community that treasures the golden values and virtues of our religion and of our forefathers. Let us insulate our community folks from such sweeping generalizations, because they don’t deserve it. Let us refrain from using our people, or its culture, to further our own personal interests and goals.